Considered by many chefs as the finest crab in the world, fresh Dungeness crab is only available on the West Coast from Alaska to the Central Coast. A rich buttery taste, sweet out of the shell. Dungeness Crab can be served steamed and cracked in a bouillabaisse, or Ciopinno. You can also prepare delicious crab cakes. Dungeness Crab have been pre-cooked in a salt brine solution. Rinse them well and place them in a pot of boiling water just enough to heat them thoroughly. Be careful not to over steam them or they can become tough and rubbery. Classically served whole, either hot or cold, and paired with melted butter or dipping sauces. Dungeness crab has a distinctive, sweet flavor and tender, flaky white meat. This shellfish combines well with a variety of seasonings and sauces in seafood stews as well as soup, appetizers and main dishes. *Count will vary based upon weight. Dungeness Crab is available throughout the year.. 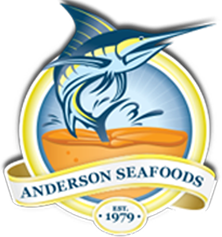 When buying Dungeness Crab online, make Anderson Seafoods your first and last source.